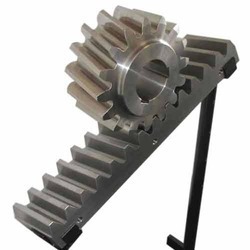 Pioneers in the industry, we offer rack gears, spur gears, rack & pinion gears, helical gears and bevel gears from India. 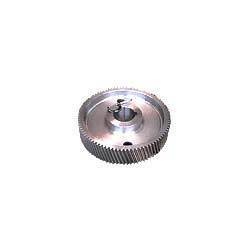 We are a preeminent manufacturer and supplier of a quality approved range of Rack Gears. Quality-approved material is used to manufacture the offered range by our highly experienced and trained professionals. Moreover, to cater to the diverse requirements of customers, we offer these products in variegated specifications. 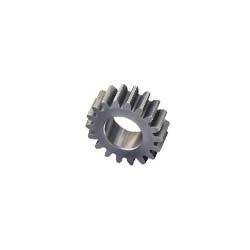 With our expertise in this domain, we are able to offer a superior quality range of Spur Gears. The professionals hired by us make sure that no compromise is made with quality in the manufacturing process. Post-production, we thoroughly inspect these on certain well-defined parameters of quality in order to rule out every possibility of defect. 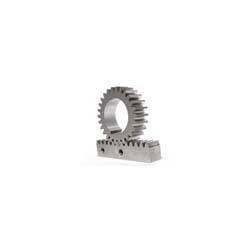 We are instrumental in manufacturing and supplying a vast assortment of Rack & Pinion Gears. The range made available by us is used for translating rotary motion in to translator motion. Our quality controllers inspect these gears on certain well-defined parameters of quality in order to ensure their defect free nature. These are used for higher speeds, lesser noise, greater tangential load and lesser dynamic stress. These gears connects shaft operating at right angles. Available in EX-STOCK in cast iron and steel, in various ratio upto 1:6 and different pitches. Looking for Industrial Gears ?